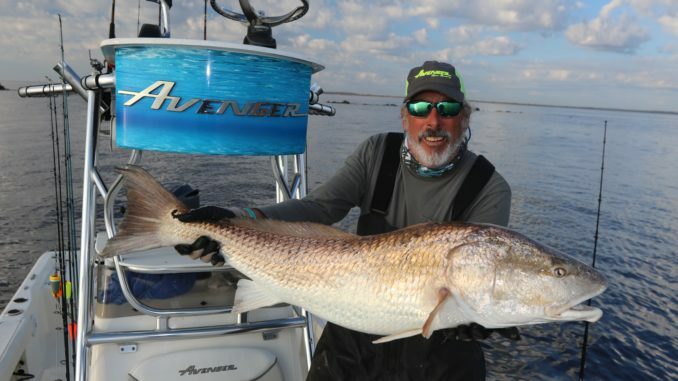 You'll catch your fish of a lifetime this year if you follow one tip from Capt. Rod Thomas of Capt. Ponytail Guide Service. Have you ever caught a fish of a lifetime? How about had a 100-fish day? 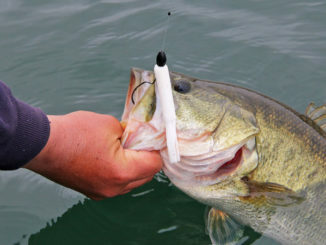 Many anglers spend a good portion of their lives pursuing fish. But a lot of them can never make claim to either of those statements. But it’s not that hard for an angler to do either, if they follow one tip from the most mobile fishing guide in the Carolinas. Capt. Rod Thomas, a/k/a “Capt. Ponytail” of Capt. Ponytail Guide Service, figured out the secret to having such fishing success years ago while scheduling fishing shows for ESPN. “I’d call fishing guides and tell them what kind of show we were working on. It never failed that they would tell me a certain month, and which part of that month, that we needed to come fishing with them,” said Thomas. “It didn’t take me long to realize that these guys knew when the big fish would be there. And they also knew how to get them to bite,” he said. The secret, said Thomas (336-240-5649), is to go where the fish are, when they are there. This might seem like common knowledge once you say it out loud, but far more anglers get stuck in the rut of fishing whatever waters just happen to be closest to home. And for most anglers, that means catching pretty much the same class of fish their whole lives. “If you’re fishing the same body of water all year long, you’ll get good at catching those fish, and you’ll learn what those fish do in each season. But unless there just happens to be really big fish in that piece of water, you’re never going to catch the fish of a lifetime,” said Thomas. Most guides, like most anglers, fish the waters that are closest to their homes. They know those areas well, and can find fish for their customers on most days. But they are still limited to the fish that are there. Thomas, on the other hand, goes where the prize fish are, when they are there. 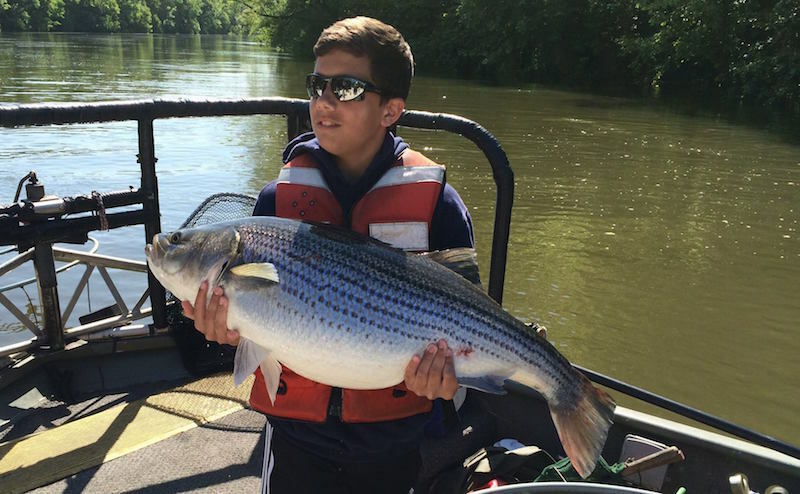 In April, it’s the Roanoke River around Weldon, N.C. It’s known as the Rockfish Capitol of the World because of the big striper run every spring. The numbers of fish here are amazing. So your shot at catching a big one are pretty high. The river is narrow, relatively shallow, and the stripers never fail to show up this time of year. If you’re there, you’ve got a good shot at a stellar day of fishing, including catching the fish of a lifetime. 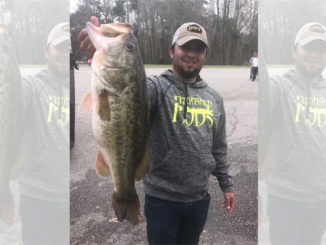 Many anglers catch their fish of a lifetime near Weldon, N.C., the Rockfish Capital of the World. And while the Roanoke can get crowded this time of year, Thomas’ boat, an Avenger Bay boat, is a versatile craft that is right at home on the Roanoke. It’s a bigger boat than most on this river, but it drafts perfectly shallow, and the outboard offers Thomas and his clients the range to get away from the crowds quickly, safely, and comfortably. Toward the end of May, the striper run is nearing its end. So Thomas heads south to the Winyah Bay area of Georgetown, S.C. 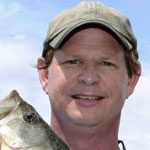 He targets multiple species here, including giant redfish and tarpon. Around the middle of August, it’s time to head to the Pamlico Sound around Oriental, N.C. Here, giant redfish are making their way down the coast for about a month. And when Thomas says giant redfish, he’s talking about fish-of-a-lifetime fish. 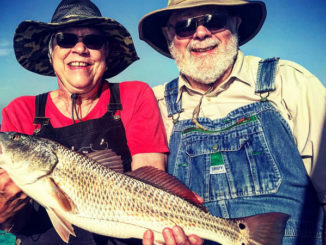 Around the middle of September, Thomas moves with the fish once again, back to Georgetown, where he targets these same bull redfish in Winyah Bay. These fish typically stick around the Bay through the end of November. But Thomas said in the past few years, they’ve stayed inshore even longer than that. It’s not uncommon for Thomas to have clients that book with him year after year, for all four of his adventures. They don’t mind logging a few more miles on the highway than many anglers do every year. These are the anglers that catch the fish of a lifetime, sometimes multiple times a year, for many years in a row. Don’t stay stuck in a rut; catch your fish of a lifetime this year. –Want to catch your fish of a lifetime from a pier? Click here to read the story.